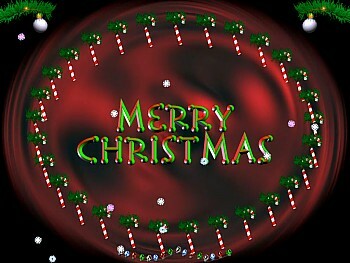 Small animated screensaver of Merry Christmas text with spinning candy canes and falling snowflakes. Sound is 'Santa Claus Is Coming To Town' (can be muted). Download Free wallpaper from this Screensaver. Images and Screensaver copyright, ART-TLC ©. This screensaver works best in standard size screen settings, not wide screen.